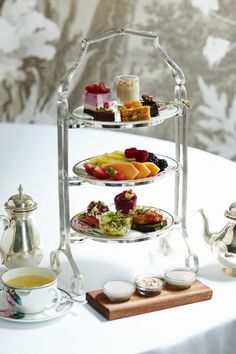 Personally I have hosted numerous mystery tea parties over the years. 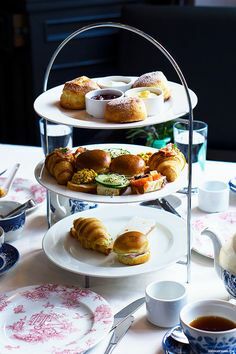 I love customizing the tea party menu to reflect the “mysterious theme.” Every theme has a unique twist of its own and whether you choose a Titanic, Old West or Sherlock Holmes plot line your guests are sure to have a good time. One of my favorite things about hosting a mystery tea is the participation and creativity it can release in your guests. It’s true! A good costume and a stiff cup of tea can do wonders. There are several keys to hosting a successful mystery tea party so please feel free to take notes. Maxine at Mystery Tea Parties has been writing kits for several years birthed out of her own love of mystery parties. After hosting a successful event in her own area she began receiving requests from friends and neighbors that wished they had been invited as well. One thing led to another and http://www.MysteryTeaParties.com was born. Recently, I had the chance to review the two newest mystery parties from Maxine’s pen. Who Stole The Wedding Bells is the perfect spring/summer event! It would be hysterical at a bridal shower tea but could also be a really fun fundraiser or women’s tea party. The basic concept is that the literal Wedding Bells have been stolen and its up to a group of crazy women to solve the mystery. What role did the groom play? How did the Secret Service get involved? Is the Bride To Be destined for a life of grime? is the answer for anyone hosting Children’s Birthday Tea Party or any tea party involving kids. This is Maxine’s first script kit for kids ages 8 and up. The premise is an art contest with a $100,000 prize and a missing entry that was sure to win the prize.Who Dunnit? The children get involved solving the crime, answering questions that lead them down the path to finding the criminal. 2. You need to follow the instructions carefully! Mystery tea parties are set up so that characters release clues in a certain order. For instance, in the Case of the Missing Artwork, the character Annie Artist has two sections of scripted information she must release. One is at the beginning but the other is later in the gathering and after Becky Baker is finished. Hostess instructions are very clear in these kits but to have a successful event be sure you have read through both the step by steps and the script itself. You want to understand the big picture so your guests aren’t confused. Think of yourself as the director and be sure to direct the party. knead 6-8 times. Do not over handle. with milk and sprinkle with sugar. 4. Costumes are optional but encouraged! A hostess can choose to ask her guests to come in costume or if the event is spur of the moment, she can provide a costume box filled with creative hats, gloves, boas and the like. The more involved your guests become, the more fun your party will be. 5. Have a camera and takes LOTS of photos. Take pictures of the food, take pictures of your guests in character, take pictures of the criminal and those who solved the case! Post your photos on face book, your blog, website and be sure to submit them to Maxine as she loves to feature your personal version of one of her many scripts. That’s it! That is all there is to it. Now grab a calendar, pick a date, and order your Mystery Tea Party Kit. You can be hosting your own themed tea event in just a few days. Tea Party Girl Asks: Which Mystery Tea Party script looks the most interesting to you? In June our tea shop is hosting the Crazy Quilt Caper. A lot of the women in this area quilt and this mystery theme is hilarious as well. Easy costuming and props. Ooh that is good to know. Lots of towns and areas have quilting festivals so Maxines Crazy Quilt Caper would be a good fit. Send us photos so we can “see” it online.